In early 1997, a unique program at Range Center, Inc. called SoHo Arts, introduced individuals with both physical and cognitive disabilities to a world of communication through creative expression. While participating in the SoHo Arts program, artists with disabilities learn drawing, painting, and printmaking techniques. In the wider cultural community, SoHo Artists have participated in grant-funded art projects and art events and are increasingly visible in the arts community. Most importantly, self-perception of the artists as creative individuals with unique viewpoints and abilities has emerged. SoHo artists have been featured in many venues, including an art exhibit at the state capitol. Artists joined Governor Ventura for a joint press conference at the reception. Currently, one SoHo Artist has been hired by an author to illustrate a children’s book. Two artists have been selected to participate in National Art Conferences in Washington D.C. Newspapers and magazines have promoted SoHo Art and personal stories of the artists themselves. Everywhere SoHo Artists display their artwork and products (including state association conferences) people are amazed by the creative interpretations and high-quality products these artists have to offer. The business involves the artists directly in the sale of their goods. Profits from artwork sold in the store promote independence of individuals with disabilities. 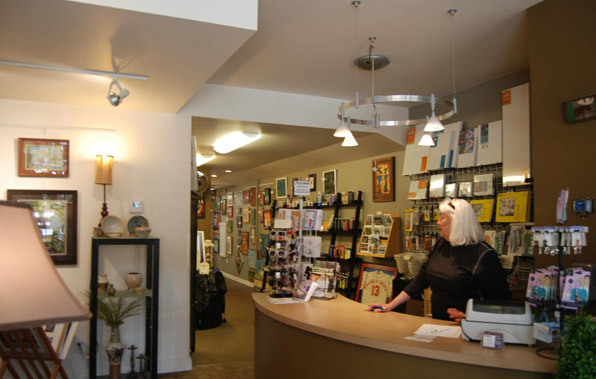 Popularity and high demand for SoHo Art opened the door for the artists to establish a successful storefront in Hibbing’s district. In 2002, a downtown building in Hibbing was purchased with grant money awarded to Range Center, Inc. on behalf of the artists themselves. Artists are actively involved in the decision making process for their program, including interviewing/hiring the art instructor, choosing which form of artistic endeavor they wish to pursue and how many days per week, they wish to participate. When in Hibbing, please visit SoHo Arts at 2310 First Ave., Hibbing, MN 55746 or call (218) 263-9230 for more information about this unique arts program in Northeastern Minnesota.